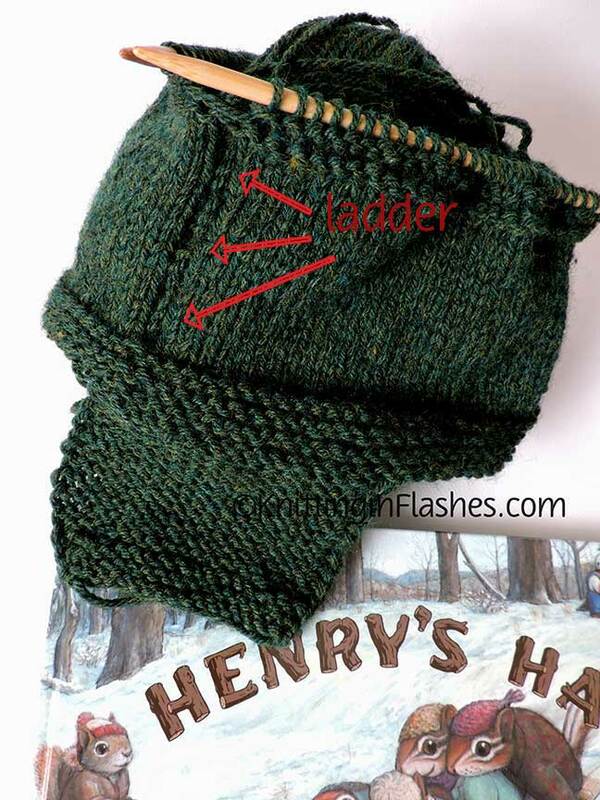 In all my knitted items in-the-round I have never, ever had ladders between my needles. Not a knitter? 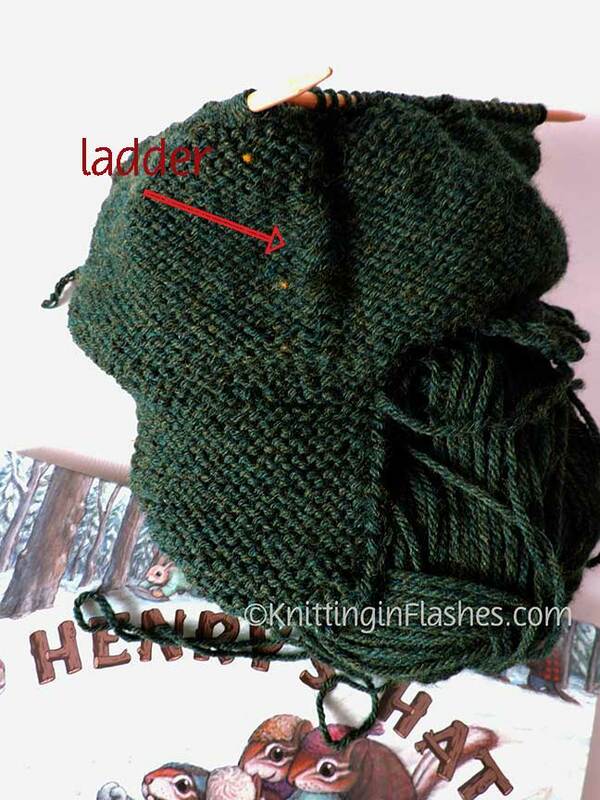 A ladder is what happens to the stitches on the ends of each double-pointed needle when the tension changes. It shows up between your double-pointed needles looking like a dropped stitch. Click here for ways to avoid this. I’m not sure what happened this time except that I was using three needles and the working needle instead of four and not pulling the second stitch on the needle as tightly as I should have while I was knitting. Plus this is knitted inside out and the laddering occurred in the purl section so it wasn’t as noticeable to me. So the hat will be ripped out until I get to the purl section and I’m either going to use four needles and a working needle or switch to a short circular needle. What’s your trick to avoid ladders? This entry was posted in knit, knitting and tagged knit, knitting, knitting technique by Patti_is_knittinginflashes. Bookmark the permalink. I have never had a problem with ladders either. I always wondered what I was accidentally doing right! I have had good results with four and five needles. I wonder if it’s the yarn weight? I don’t know. This intrigues me! I didn’t have a short enough circular needle so I ended up using four needles for the stitches and another one to work them. Does that mean I used five??? Anyway, I also knit/purled two or three more stitches from the left needle when going from one needle to the next to avoid any ladders. It worked! The hat is now finished and blocking. I think the ladder issue was a combination of things: working with too few needles, purling in the round, not paying attention to the needle change, and knitting with not enough light. To solve my issues …..I just don’t knit! Haha bahaha! I avoid ladders by using circulars whenever possible, and if I really can’t (and that is seldom, as I will use magic loop or two circulars before I give in), I do what you did – I go a stitch or two farther at each needle change.